WDC Investigates: Printing – How Many Inks Do You Need? An inkjet photo printer used to earn its ‘photo quality’ tag because it offered additional inks to the standard cyan, magenta, yellow and, usually, photo black hues. These additional ‘photo’ inks were lighter shades of cyan and magenta and were designed to refine the gradation of mid-tones and reduce the graininess of areas that required complex dot dithering to produce subtle tones, especially skin tones. And these photo inks certainly made a difference. These days, many photo printers comfortably earn their ‘photo’ credentials without extra photo inks. Manufacturers have achieved high-quality photo print quality with a standard set of inks through improved dithering of more and smaller ink dots. Good examples of photo printers that have extra photo inks do hold a critical advantage in photo print quality terms, but the gap is much closer than it used to be. Higher-spec printers do tend to stick with added photo inks and lately you will find two or three greyscale inks included as well. These greyscale inks are provided to improve the neutrality of grey tones and to produce really good black and white prints. 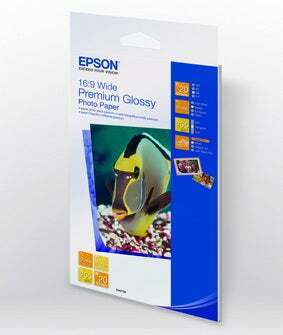 Professional-style inkjet printers will also offer photo black and matt black inks. These aren’t normally used at the same time. Matt black ink is used for printing on matt surface fine art papers and delivers a much deeper density on this kind of media surface. Photo black is laid down more sparingly and retains its shine on glossy finish papers better. One tip – many printers waste a fair bit of ink when switching between matt and photo black cartridges because the ink channels need to be flushed through the print head each time the switch is performed.